New Delhi, Oct 10 (IANS) The Delhi High Court on Tuesday issued notice to the Centre and Delhi Golf Club on a plea of the Khasi woman, who was asked to leave the club for wearing traditional attire ‘Jenseim’, seeking direction to ensure compliance of the constitutional provisions of equality and non-discrimination. The court asked the club to file response by January 30 on the public interest litigation (PIL) filed by Kong Tailin Lyngdoh, a governess, and three others. The plea said on June 25, Lyngdoh, an invited guest, was wrongly subjected to unconstitutional restrictions by not allowing her to sit in the dining area of the club, thereby violating her fundamental rights. The club staff had asked Lyngdoh to leave the dining room as her traditional Khasi attire looked like a “maid’s uniform”. Lyngdoh had accused the club and its members of allowing racial profiling of people which tantamounted to racial discrimination of tribal people, which is a punishable offence. 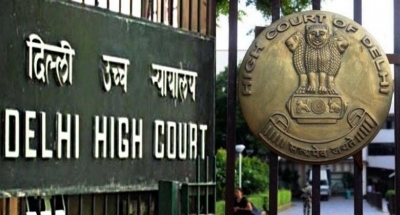 The plea filed through advocate Vrinda Grover sought a direction to the Central government to ensure compliance of the constitutional provisions of equality and non-discrimination by establishments which have been allotted land on lease.